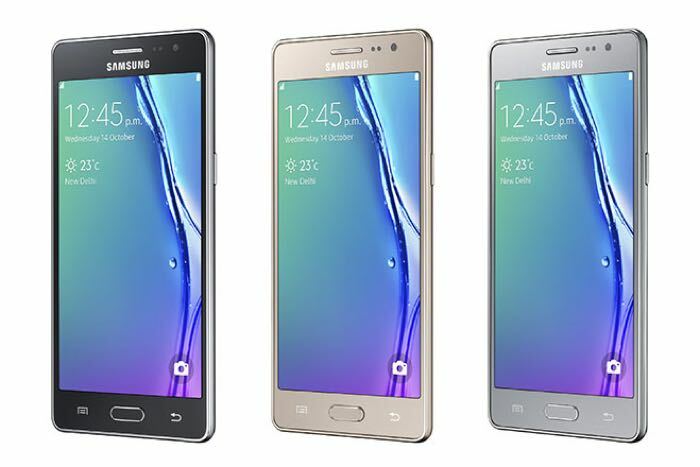 Earlier this month, Samsung introduced the Tizen-based Samsung Z3 in India. The handset is now available for sale in India. Customers interested in the handset can purchase it online from Snapdeal for Rs 8,399. As far as the color options are concerned, it’s available in black and gold color — silver color is not available at the moment, and there’s no word about its availability. It appears that Samsung wants to promote its own Tizen operating system in smartphones as well. The handset comes with a decent set of specifications and features considering its price tag. As far as the specifications are concerned, the Samsung Z3 offers users with a 5-inch display sporting a resolution of 1280 by 720 pixels resolution, and the processing is handled by a 1.3GHz quad-core processor paired with 1 GB of RAM. The handset measures 70mm by 141.6mm by 7.9mm and weighs 137 grams so you can rest assured that it’s not going to be heavy in your pocket. Other features includes an 8MP camera for photos and videos, a 5MP front-facing camera, a 2,600 mAh battery and ships with Samsung’s Tizen operating system. Anyone interested in picking up the handset? Let us know in the comments below.